Elseworlds Part 3 Recap: What Does It Take to be a Hero? Home TV Elseworlds Part 3 Recap: What Does It Take to be a Hero? The final installment of the Arrowverse Crossover Event, Elseworlds, is strong from start to finish. Part 2 ended with Dr. Deegan (Jeremy Davies) creating a new reality with the Book of Destiny that finds Barry and Oliver as the Trigger Twins running from the law and from a black-clad Superman. Unfortunately, this Superman is not the hero that he seems. We learn from the opening voiceover, that in this reality, Deegan is Superman, but without the underlying virtue that makes Superman the hero that we know and love. Deegan mocks Oliver and Barry for their superhero origins… Barry struck by lightning and becoming the Flash, and Oliver channeling his darkest impulses to become Green Arrow. Barry tries to explain to Deegan that people don’t become heroes because of circumstance but despite circumstance, but Deegan doesn’t hear it – he is too busy reveling in his newfound power and popularity. He is about to destroy Barry and Oliver but they escape by creating a diversion: Deegan must choose between killing them and saving some of the bystanders who see him as their benevolent hero. Deegan is using S.T.A.R. Labs as his base of operations now, and is holding Supergirl prisoner in the pipeline. Caitlin and Diggle work for this SuperDeegan now, as does Alex Danvers (Chyler Leigh) who mistakenly thinks that by working for him, she is protecting the city. Ever hopeful, Supergirl sees that Alex just might be her way out. Barry has an idea – if they can find Cisco in this new reality, maybe Cisco can breach them to get help. They run (it’s the old powerless Barry now, and his nerdy, non-athletic side is funny to watch) to where Cisco’s apartment should be but they encounter Monitor on some other-worldly astral plane instead. Monitor says he is intrigued by Flash and Green Arrow – they were able to escape from Deegan and have not yet given up. Monitor looks pointedly at Oliver – at first mentioning that Oliver is so eager to die; but correcting himself and saying that Oliver is willing to die. Again, he says that the heroes must learn who they are inside to prove themselves strong enough to save the world. 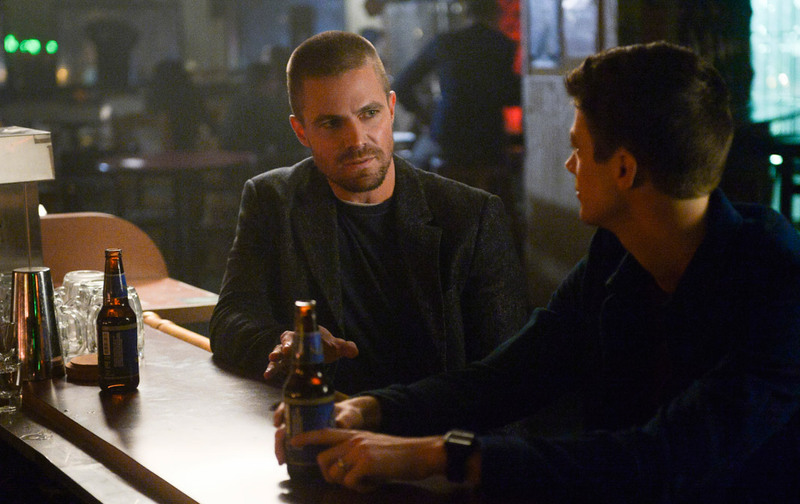 Leaving Monitor, Barry and Oliver track down Cisco at a local bar where, surprise!, Gary (Adam Tsekhman,) our resident fanboy from Legends of Tomorrow, is bartending. It turns out Cisco is the boss of the local crime syndicate and has been using his vibe powers for a life on the other side of the law. He also has James Olson (Mechad Brooks) working for him as his muscle. Cisco wants to get rid of Superman so he can pursue his criminal activities, but is not interested in anything the Trigger Brothers have to propose, until Barry mentions that he knew Dante. 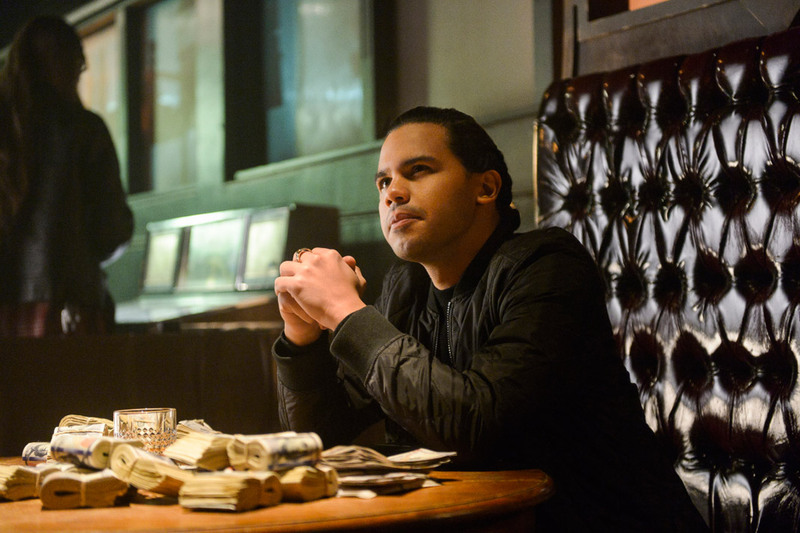 Cisco orders James to stand down which gives Barry and Oliver time to come up with a plan. Supergirl has been working on her escape from the pipeline. She tells Alex that back on her world they are sisters and recites a poem that Alex taught her as a child. Supergirl’s Alex always felt the need to serve but she has her own voice, standing up for what is right and is true to herself. She knows that Alex wants a wife and kids and is optimistic that she can have it all. The real Alex is a hero. She tells Alex that Deegan/Superman re-wrote this reality to make them all his prisoners, but this Alex is smart enough to see through him. Supergirl promises to stop Deegan if Alex lets her out of this prison. Cisco breaches Oliver and Barry to Earth-38 and Superman’s Fortress of Solitude. 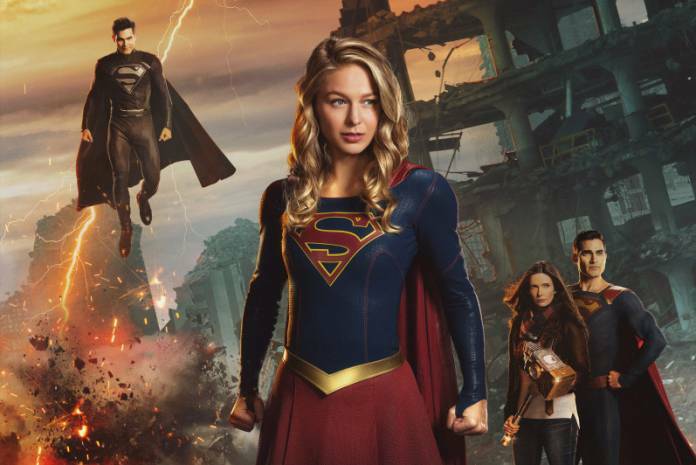 They explain Deegan’s new reality to Superman and Lois; and come up with a plan to rescue Supergirl and once again, retrieve the Book of Destiny. Cisco tells them that the most likely place that Deegan would have the book and Supergirl is in S.T.A.R. Labs and breaches them back just as Deegan, Killer Frost, and John Diggle catch Supergirl and Alex escaping. Oliver goes after Killer Frost and Diggle, while Barry and Supergirl search for the Book of Destiny. As for Deegan, it’s super vs. super as he fights it out with Superman. The battle is epic! 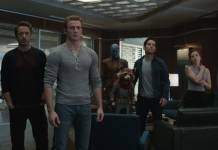 Barry, Supergirl, and Cisco find the book in the Time Vault, but Supergirl is not strong enough to open it and change reality back. She flies out of the vault, blasts Deegan out of the sky just as he’s about to finish off Superman, and hands the book to Superman, asking him to open it up and fix reality. Superman does that and, with background music swelling for effect, we see reality changing back. Barry gets his speed and his suit, as does Kara, and we see Oliver back as the Green Arrow emerging from an elevator, having knocked out Frost and Diggle. It’s not the end, of course. Deegan flies back and grabs Barry, threatening to kill Barry unless Superman closes the book and gives it back. Oliver, with a Kryptonite arrow pointed at Deegan, says, “Not if I kill you first.” Barry tells Oliver not to save him by channeling his darkness. Oliver can overcome it and be better. Maybe that’s the Monitor’s test. Oliver lowers his bow, and Deegan grabs the book from Superman and flies off. Deegan is rewriting reality again, and Barry says there may be a way to stop him. He proposes that he and Supergirl slow down time by flying/speeding around the earth in opposite directions so Superman can grab the book from Deegan and finish fixing reality. Superman says that if they do that they will be both die. He saw it in the book. Oliver doesn’t want them to do it, but Kara says they have to do something before she and Barry speed off. Oliver walks away, telling Superman he has an idea and as for Barry and Kara, they need to hope that destiny can be rewritten. Oliver goes back to where they found Monitor and demands to see him. Monitor thinks that Oliver has a lot of passion and ‘hubris’ to think that Oliver can command a god. Oliver challenges him, saying he’s not a god and that Monitor is not testing them to see if they are strong enough, but to see if they are good enough. Oliver adds that in all the universes Monitor has tested, he bets that he’s the first to confront him. Oliver tells Monitor that his true self is filled with darkness but Barry and Kara are the best of us and don’t deserve to die. (I have to admit that by this scene, I was reduced to a puddle of tears.) Monitor tells Oliver that balance must be maintained; in order to change Barry and Kara’s fate, how does Oliver propose to keep the balance? And end scene… what??? I was really crying now – was Oliver going to sacrifice himself in exchange for Barry and Kara’s lives? I guess we won’t find out, because we go back to seeing Barry and Kara trying to slow down time and Superman catching up with Deegan. He tells Deegan he can’t just wear the symbol and call himself a hero because powers amplify who we are, and the way he’s been using his powers tells Superman that Deegan doesn’t have what it takes. Deegan summons Amazo, who blasts Superman. Another breach opens and we see Lois, Brainiac and J’onn J’onzz/Martian Manhunter appear. Brainiac goes after Amazo, J’onn protects the civilians, and Lois uses a hammer from the Fortress of Solitude to create a shock wave to unbalance Deegan. We then see Barry and Kara – they are slowing down the world, but are paying the price; they seem to be disintegrating in the process. Deegan blasts Lois just as time is finally slowed – Superman has a tough choice to make. He can either save Lois before she hits the ground or get Deegan. Is this another sacrifice that our heroes need to make? Oliver comes back and shoots the Book of Destiny out of Deegan’s hands. Superman catches Lois, Barry and Kara stop disintegrating, and Deegan is reduced to a gray shadow of a man, truly becoming DC’s Doctor Destiny. And Brainy shows up with Amazo’s motherboard in his hand. Yay! It’s all over but for the prologues. Kara says goodbye to Barry and Oliver, saying that this is becoming an annual thing with them. They breach back to Earth-38 and Kent Farm. Clark tells Kara that he is hanging up his cape and leaving the world in Kara’s capable hands because… Clark and Lois are expecting a baby. They are going back to Argo. But first, at the Fortress of Solitude, Superman creates a diamond out of a coal and proposes to Lois. Aww…. In a teaser trailer for the next Crossover Event: Oliver and Barry are back in Central City, reflecting on their adventures and talking about how they felt when they exchanged powers. Oliver denied changing Barry and Kara’s destinies, but hopes that he can become a better man someday. He proposes a toast to appreciating what they do have for however long they have it. (I sense Oliver made a bigger deal with Monitor than he is letting on.) The toast is interrupted by a phone call from Batwoman (Ruby Rose.) She tells Oliver that Deegan has made a new friend in Arkham Asylum. It’s none other than Psycho-Pirate (Bob Frazer), the supervillain who plays a major role in DC Comics‘ Crisis on Infinite Earths, coming to The CW in Fall 2019. All in all, I think that this year’s Crossover was the best ever. I’d give it an A+ rating for its humor, its scope, its deep dive into DC canon, the introduction of new heroes and villains, and the lead up to one of the most important events in Arrowverse history. I’m looking forward to next year! Cindy is happy to be a part of VitalThrills.com. Her varied interests include movies, television, books, and theater and has written for BroadwayWorld.com, BlogCritics.org, and other websites prior to joining the Legion. She believes in the power of art in all its forms to elevate the human spirit and when she isn’t writing, she is working behind the scenes in community theater and slowly learning to play guitar.